Shearwater, Freehold Communities’ new master-planned community in St. Johns County, is a forward-looking community with a fresh take on time-tested features. Here, you will find contemporary spins on traditional features like large, functional front porches that help create a small-town sense of community and timeless home designs that savvy homebuyers know can make a big difference in home appreciation. With David Weekley Homes, you can have the classic owners’ retreat that you’ve always dreamed of. Personalize your space with French doors that open to a gorgeous master bedroom with tray ceilings, plush carpeting and windows with custom wooden sills that bathe the room in natural light. Include a cozy sitting area to use as a reading nook or a quiet space to unwind after a long day. Timeless home designs by Lennar are the product of scrupulous attention to detail. Pavered driveways and crown molding in the main living areas and master suite make each room feel effortlessly luxurious. A traditional soaking tub in the master suite makes relaxing at any time of day a breeze, and surrounding wood-inspired ceramic tile floors give you the warm look of wood floors with none of the stress or maintenance. Richmond American Homes offers homebuyers the long-standing appeal of the classic ranch-style home. Traditional siding and stonework gives the exterior a timeless, rustic look. The spacious, open floor plan with a centrally located great room make these homes perfect for both relaxing with the family and entertaining guests. Or if your family needs a bit more space, Richmond American Homes also offers two-story homes with the same traditional aesthetic. Included in every MasterCraft Builder Group home is a gourmet kitchen that will make you feel like a five-star chef. 42” maple cabinets with crown molding, granite countertops and an under-mount stainless steel sink provide plenty of space for you to work your culinary magic. An enormous California-style center island is ideal for kids to do their homework while you make dinner, and the walk-in pantry ensures you’ll have every ingredient you need. With D.S. 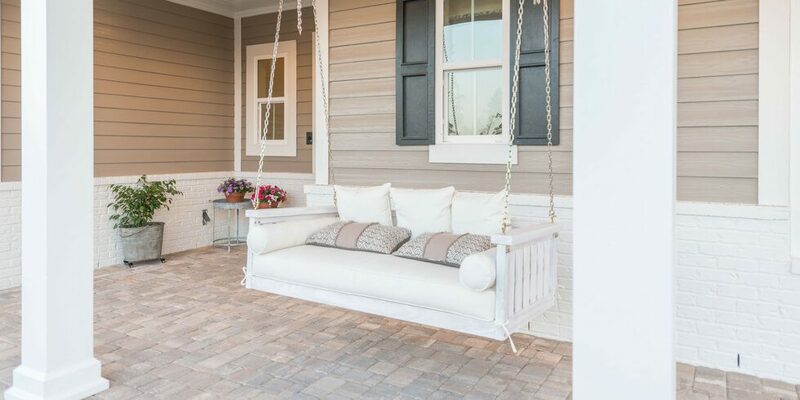 Ware Homes, you have the option of including a front porch, back lanai or both to create the outdoor space that’s perfectly suited to you and your family. Include an outdoor kitchen in the lanai and have weekend BBQs when the weather is too beautiful to pass up. Or, hang up your porch swing and sip iced tea with your family and neighbors. Homes by Drees Homes were built with entertaining in mind. Gorgeous designs and landscaping makes for a striking first impression and invites guests in. A spacious foyer greets you and flows seamlessly into the formal dining room, perfect for dinner parties and elegant holiday celebrations. Or if casual get-togethers are more your style, you can host unforgettable game nights and watch parties in your very own game room. Interested in learning more about the homes and lifestyle at Shearwater? Join our Interest List to always stay up-to-date on Shearwater news.